Another favorite of mine. 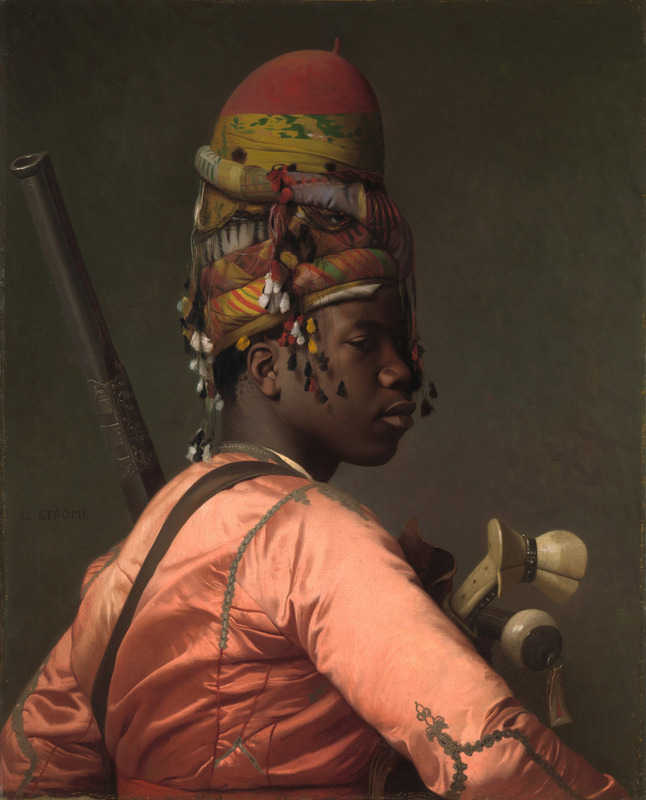 It’s called Black Bashi Bazouk and painted in 1868 by Jean-Léon Gérôme who was a french painter. The title may seem familiar if you know Turkish because it’s actually BAŞI BOZUK but this statement is also known in English and French (in French it’s Bachibouzouk). So, what does başı bozuk mean? Semantically, baş(-ı) means “head” and bozuk means “broken” and they together mean “crazy, mad” or more currently “psycho”. It’s a name given to an informal millitary troop back in Ottoman army. As their name indicates, they were notorious for their brutality and looting. No need to write about their lawlessness. And as they are considered “crazy” ( in other words, crazy brave) there’s no doubt they could strike real fear into the enemy. They were not only Ottomans but also were from different nationalities. 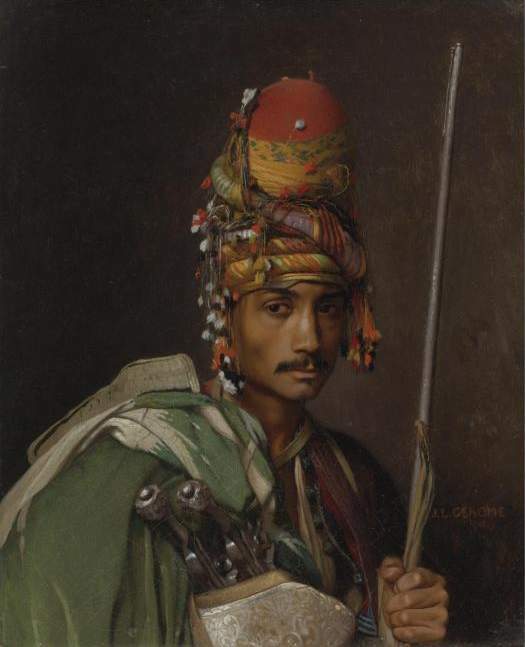 Jean-Léon Gérome painted this piece in his studio in Paris with a hired model. He reconstructed the dress and all with the textiles he got during his journey to Near East. This is not the only Bashi Bazouk painting he’s done. He has many orientalistic paintings. This one is another Bashi Bazouk depicted, another painting that he’s done in 1881 and another one with a dog. It’s in The Metropolitan Museum of Art and I hope to see it one day.